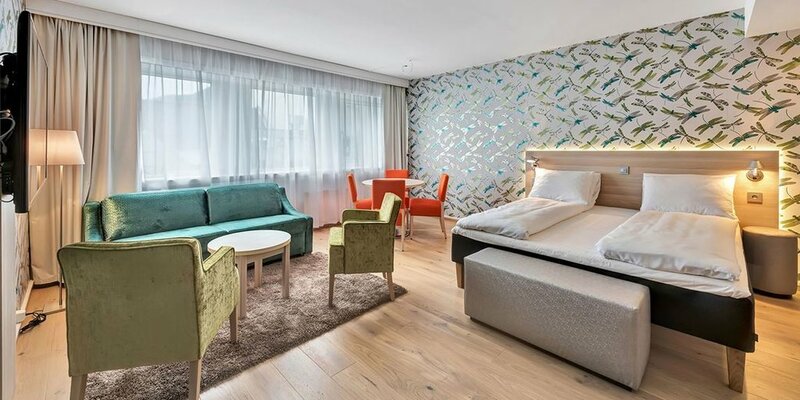 One of the draws to staying in a chain like Thon Hotels is that you can go anywhere and not only are they available, but you know what you're getting—and in this case, that's beautiful, clean rooms, a central location, free breakfast, and a welcoming atmosphere for families with kids. Most Thon hotels have family rooms, and some have small play areas for small children. 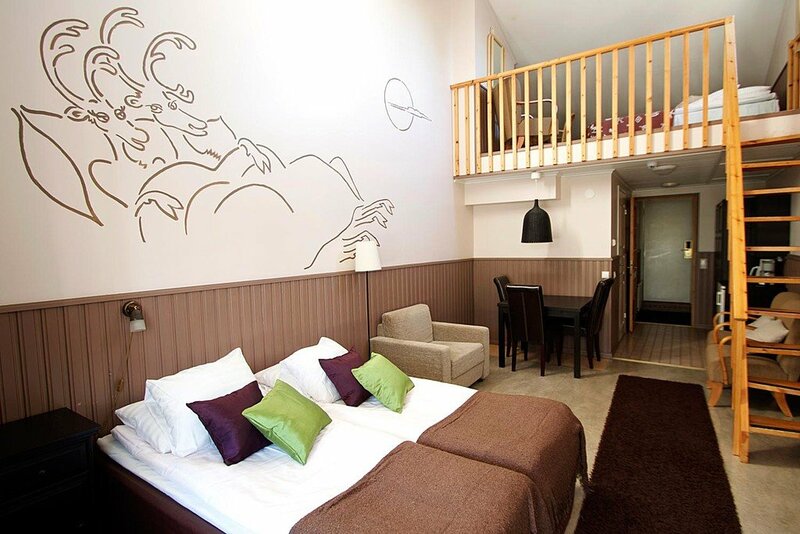 Thon Hotel Polar comes at a mid-tier price (under 900KR for a family room), its location right in the heart of downtown Tromsø, the starting point for many of the area's active winter tours (and close to the airport bus stop). If you're looking for a sure bet, this is likely it. 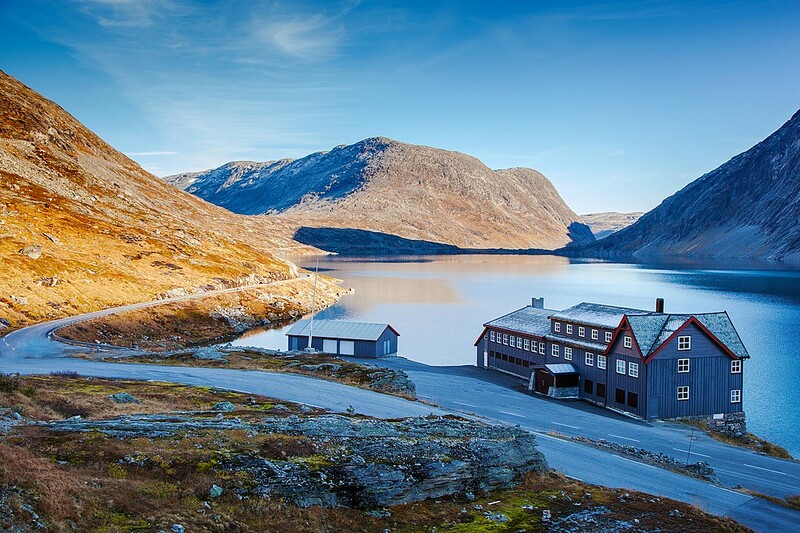 If you want to bring the kids to something a bit more iconic, look to Manndalen Sjoebuer. 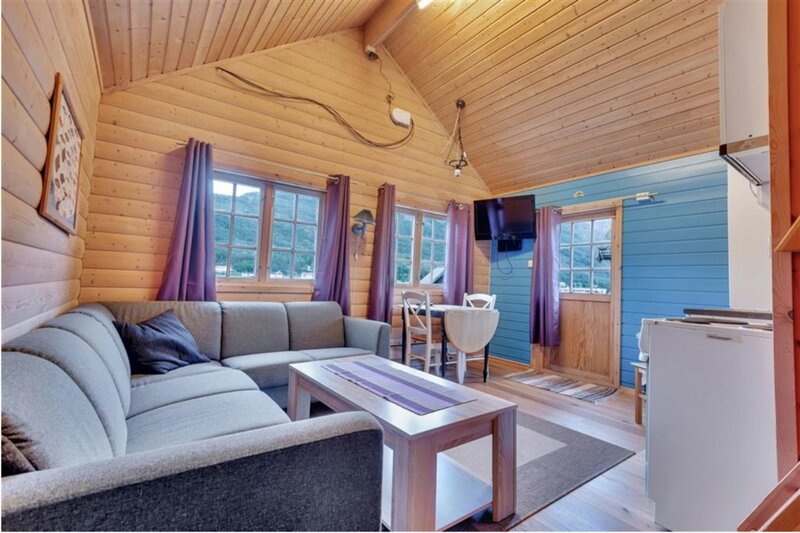 You'll be staying in a fishing hut-turned-cottage, right on the waters of the Lyngenfjord. The cottages are modern but definitely cabin-style, complete with full kitchens, wifi, and all have great views. Approximately the same price as a standard hotel in the city, this full set-up only really comes with one sacrifice: it's two hours outside of Tromsø. 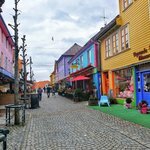 If you're willing to make the trek, you can get more bang for your buck, and you and the kids will get a taste of village life in Northern Norway. 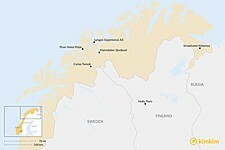 Manndalen's population? 900. If your budget matches your wildest dreams, consider the apartments at Lyngen Experience AS. Imagine staying in an igloo that's been upgraded to the year 2025, and you'll be approaching something similar to this modern set-up. 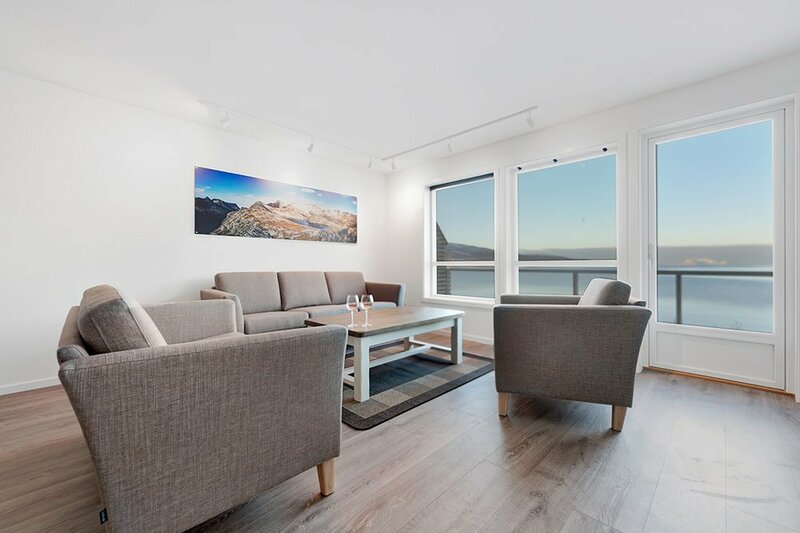 There are six units, and each overlooks the fjord and mountains, both approximately one step outside your door. There's two-, three-, and four-room options, and each have all the amenities you could ever need for a nightly (or even monthly) stay. Surrounded by ice but completely warm and cozy: What could be more Norwegian than that? 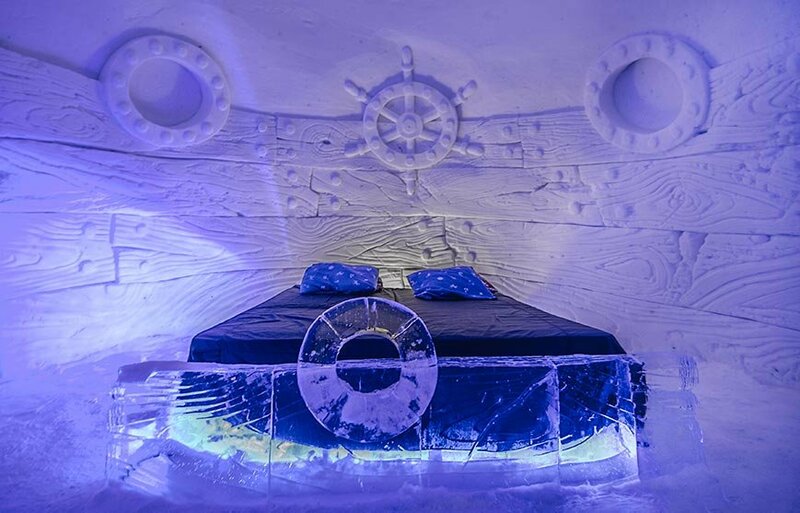 The Snowhotel Kirkenes is an ice hotel with 20 rooms, restaurants, and an impressive main building adorned with intricate ice sculptures. Its enchanting, sprawling grounds are dotted with cabins, where resident reindeers and huskies roam, and a nearby fjord where you can try your hand at king crab fishing. Family igloos for up to 5 people are available, and the price for kids 12 and under to stay is half the regular rate. The indigenous Sami people are one of Europe’s northernmost indigenous people. They thrive in some of the world’s harshest conditions, herding reindeer above the arctic circle and passing down folktales through the generations. 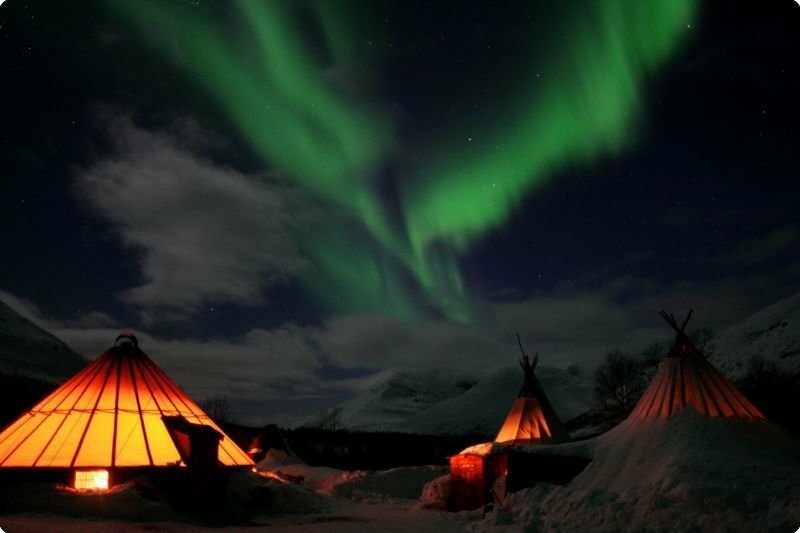 Today, you can take part in Sami culture with a stay in a lavvu, or traditional tent. Far from the lights of civilization, staying in a lavvu provides an unforgettable, authentic experience and is a great base for spotting the Aurora Borealis. 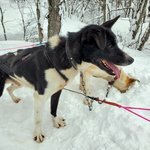 Perfect for kids 12 and older, a stay in the lavvu at Camp Tamok by Lyngsfjord Adventure—south of Tromsø near the Swedish border—can be coupled with ice fishing, dog sledding, and other traditional winter-weather activities. Sleep in ultra-warm winter sleeping bags on beds of reindeer skins that will keep you warm even when temperatures dip below zero. Note that the lavvu here is a large group tent with separate sleeping berths that you will share with other guests. If you want a more private experience or have younger kids with you, there are also 2 comfortable cabins available for rent. 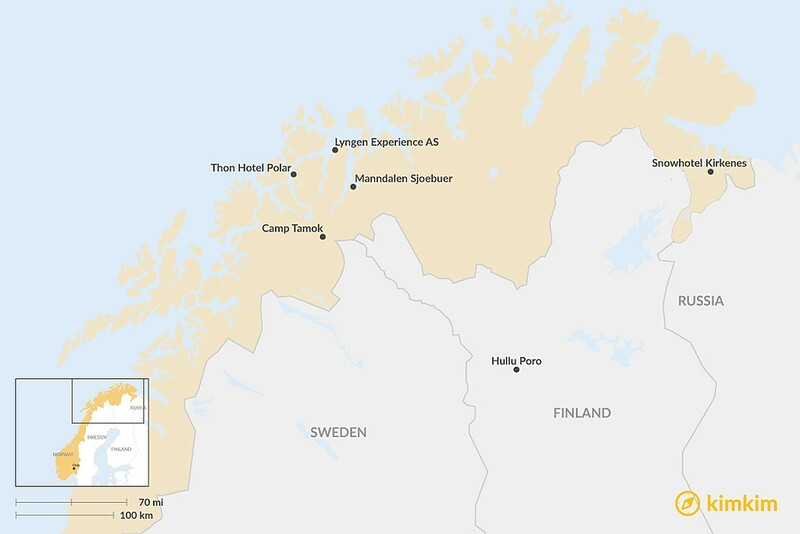 Budget options come in droves if you're willing to stay inland, and Hotel Hullu Poro (Finnish for "reindeer") is a great example. For under $100 a night near the Finnish-Norwegian-Swedish border, you'll get all the amenities of big city hotel. 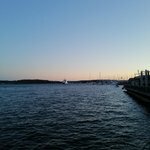 Family rooms and apartments are available, pets are welcome, and some rooms even come with saunas and/or balconies. You'll be right in the heart of Levi, and tons of trails are nearby for walking, hiking, snowshoeing, and snowmobiling. Hotel Taivaanvalkeat (operated by the same company) is five miles away, and you'll get similar amenities with one difference: no street lights, just scenery. If the kiddos can handle it, this is a great option, too.